This Unbreakable panel is our pick for mounting in an un-secured enviroment, as it can easily be permanantly attached to most any surface, and would be tough to damage. 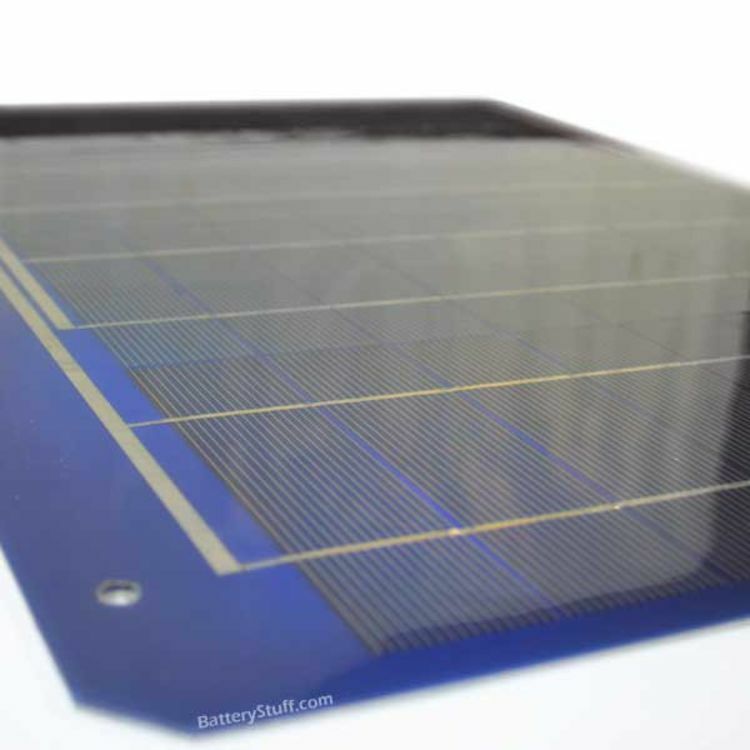 The cell strings are laminated between sheets of ethylene vinyl acetate (EVA) with stainless steel substrate. They make excellent trickle chargers and small motor power supplies. 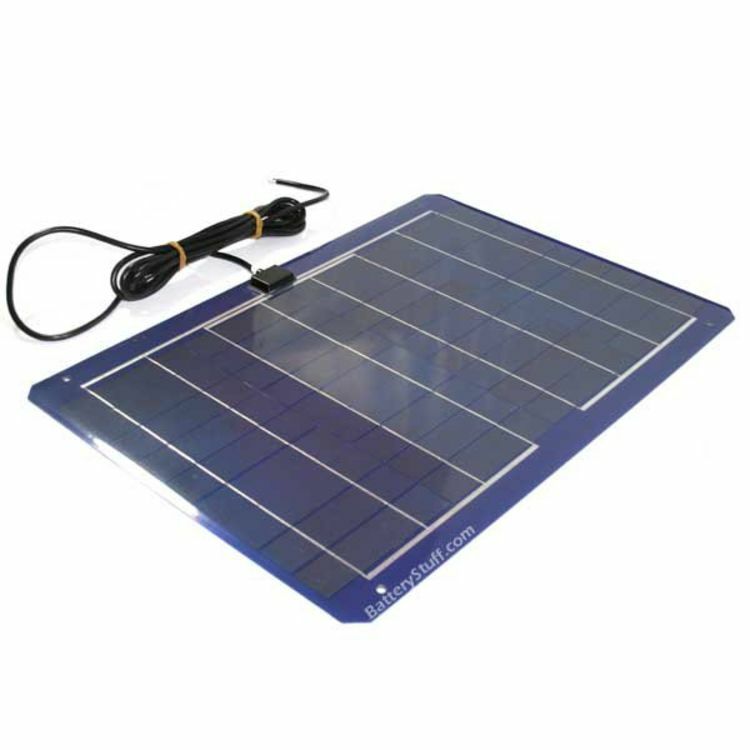 The 30 watt module is great for powering fans and fountain pumps, charging 12 volt batteries for telemetry, or for battery maintenance. 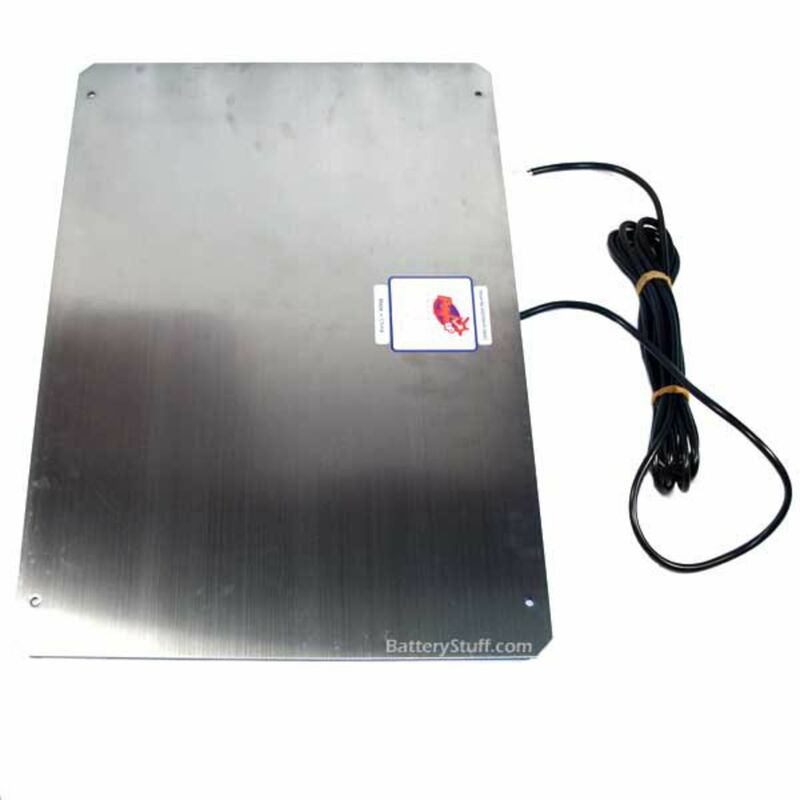 This unit comes with 10 feet of cord, a sealed junction box complete with blocking diode, and a 5 year output warranty. 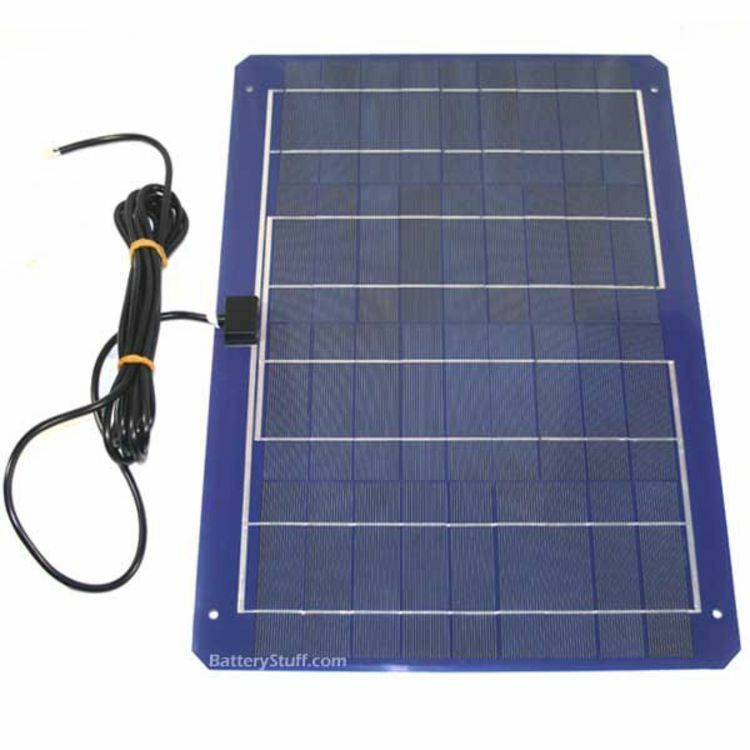 A solar controller is need for most all applications to improve charging efficiency and prevent battery damage. A SURCHARGE will be added for UPS AIR DELIVERY due to the OVERSIZE PACKAGE DIMENSIONS of the solar panel. Customer will be notified of the exact amount of extra charges for the AIR service. Do you own the BSP3012LSS? Please, tell us what you think about it. It helps us provide you with better products. Please note that it may take up to 72 hours for your review to appear.